There is a slew of up-and-coming sustainable energy alternatives. At the helm, wind and solar energy lead in popularity, but are they truly the future? While they will continue to play a role in sustainability, they might not be able to support our ever-growing energy needs. This is where fusion energy can come in. What is more fitting to bring clean energy to the world than the sun itself? This technology, being developed by TAE Technologies, might just be the future of clean energy. Fusion energy has massive potential, and here, CEO of TAE Technologies Michl Binderbauer explains how it could shape the future of sustainable energy. In this second part of our multi-part series, Binderbauer explains how fusion energy compares to wind and solar and why it is safer than nuclear. Innovation & Tech Today: What’s the potential for fusion energy from a sustainability standpoint? Michl Binderbauer: That’s frankly what really keeps me going every day. I always tell people this. We may — and when I say “we” I mean the generations that currently control the destiny of the planet — we may very well be the first generation where stewardship has failed. In other words, we are going to turn over to the next generations a place that’s inherently worse off than how we inherited it. So, it feels really great to be able to try and do something about it. This technology has a huge impact on sustainability. In fact, it is square on the quintessential, existential problem of this century: how do we meet the demands for energy consumption in a responsible, environmentally benign way. Today, when you look at the opportunities, they’re pretty scarce. Fission nuclear, which is carbon-free, has these other demons we all know well. The only other things that we have that are carbon-free are the renewables, the idea of wind and solar, and I think those will certainly have a big spot to play in the future, but if you look at the macroscopic trends, what are they? Mega cities. If you look at the U.S., we live on the coastlines, and the center is relatively sparsely populated. For instance, Texas has great amounts of wind power, but you have to bring that out to the coasts. So that is a big challenge. And for those who think that’s the full solution, then you have to live with ugly transmission towers everywhere. The energy density in wind and solar isn’t very high, so the landscape will be dramatically altered. You’ll have large windmills everywhere. Onshore and offshore, you will have gleaming mirror-like surfaces covering most of the open space to capture enough of the sunlight. I think these have obvious roles to play. They’re a great step and I’m all for those, but I think, in the end, we’re looking at about a doubling of energy consumption in the next 25 years. Most of this is actually driven by an increasing quality of life in the underdeveloped world. This is where I think fusion has not just the promise but the unique ability to deliver. This is what keeps me up every day and night working on this and feeling not only passionate but privileged to be able to do this. You know, our company is uniquely positioned in this space to try to bring this technology to the world and that’s what drives us every day. If we don’t fix it, when you look at these macro trends I just described, it doesn’t look very great. Because to meet the needs of these population centers, you want high-powered density, locally, that is non-polluting. You look at our solution, what comes out of our process when we fuse hydrogen and boron, think soapy water. Borates are the main ingredients in detergents and then you have water which is ubiquitous, it’s everywhere. Additionally, boron is mined by a metric ton, typically on surface deposits, so you don’t even have to create ugly pit mines or anything. The Mojave here in the western United States has some of the largest deposits in the western hemisphere. But luckily, also, it’s really nice geopolitically. There’s no Saudi Arabia of boron. China has it, Turkey has it, the EU have it, Africa and South America, there’s deposits everywhere. It’s a light element so it’s very pervasive in the crust. In fact there’s about a hundred thousand years of terrestrially available fuel supply, that we know of, that’s immediately available. I always joke and say, as a species we likely will be extinct by our own doings before we run out of this fuel. It’s got that sustainability aspect to it. When you fuse it, you get helium. Helium is one of the most unobtrusive and boring elements on the periodic table. It’s a noble gas. It doesn’t interact with anything. It’s also so light that in this case, it’s not gravitationally bound. So if you didn’t want it in the atmosphere, which is the belief, but we would certainly try to harvest it, put it in balloons and other things. So it’s totally benign. So when you combine all these things, you get a high-power density solution, and it doesn’t cause harm to the environment it’s operating in. If anything goes wrong, the worst you could have would be an industrial accident, say an electric fire or something, just like with anything we do. But there’s no nuclear meltdown potential or fallout of radioactive material. I mean, I have a five-year-old and an eight-year-old and I can tell you, if I had a plant like that in our neighborhood and there were a playground next to it, I would never hesitate to have the kids play there because I know it’s 100 percent safe. 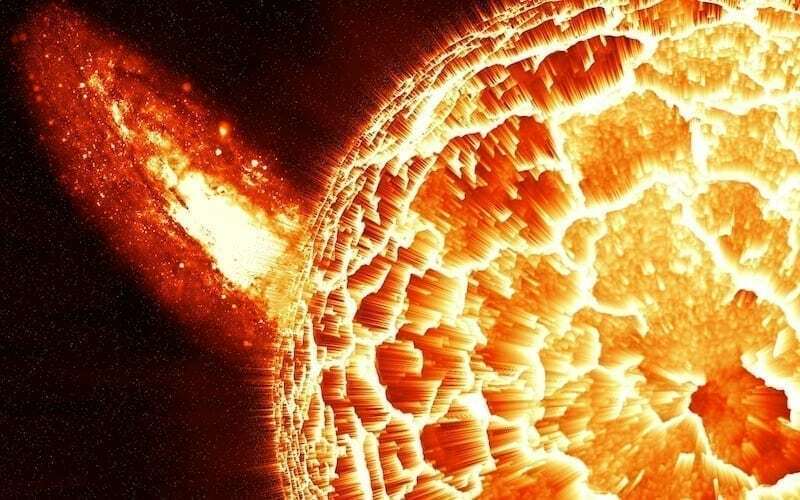 Read the Power of the Sun, Part 1: What is Fusion Energy? Stay tuned to innotechtoday.com to follow the entirety of our fusion energy mini-series.